Directly above my favourite burger joint is another burger place. Since they both opened earlier this year, I haven’t strayed from my favourite but after meeting up with my besties we thoguht we’d experiment and visit Bojuns Grill. Bojuns is located on the top floor of East shopping centre in Green Street. Right outside they even have a table of food showcasing what you could order if you were toe at there. The food looked appetising so we walked in and asked for a table. The restaurant was empty apart from one other family so I was expecting great, attentive service. We were seated quickly and I think the pros of the restaurant stop right there. We were left to our own devices and weren’t asked if we were ready to order for about 20 minutes. By this time my stomach was starting to rumble quite loudly. We made eye contact with a waiter and he asked us to wait two minutes before coming over another 10 minutes later. 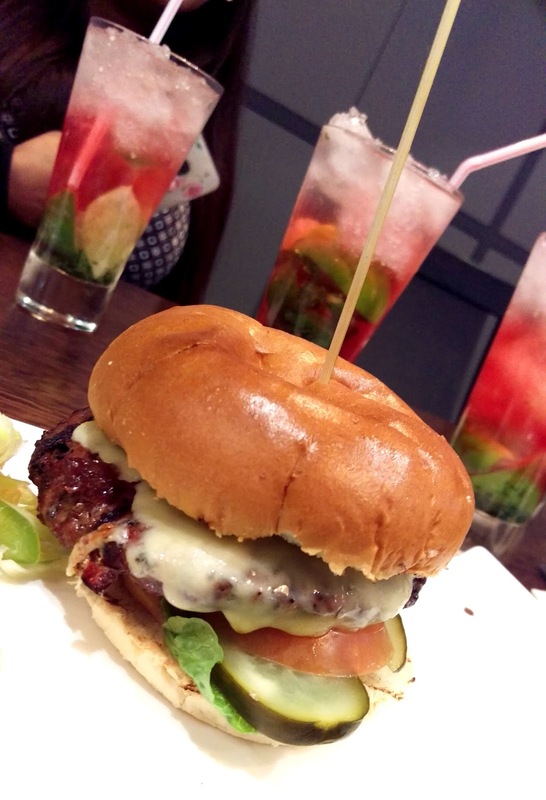 We all decided to opt for a spicy beef burger which came with handcut chips and a mojito on the side. There is an option for 50p more to add chilli and lemon on your chips so we ordered those too. The waiter asked how we would like our burgers done and we said well done as none of us like pink or bloody meat. The burgers seemed to take a lifetime to make and by the time they did finally arrive my stomach felt like it was eating itself but I was happy that it had finally time to eat. As he was setting the drinks down we noticed the mojitos were pink. We double checked that these were not flavoured and the waiter insisted they weren’t. The chips were not handcut, they were normal Mccain chips you can get down at Tesco and they didn’t look like they had chilli or lemon on them. Still never judge a book by it’s cover and all that so we decided we’d give it all a go first. There were no condiments on the table which is a huge pet peeve of mine. I knew the waiter wouldn’t come round at all so I went over to ask him for some sauces. He said he would bring them over and when he finally did he came back with ketchup and mint sauce. Since when do you eat mint sauce with a beef burger?? I had to go back again to ask him for some chilli sauce. I finally sat down to eat and went straight for the burger. It was extremely tough. 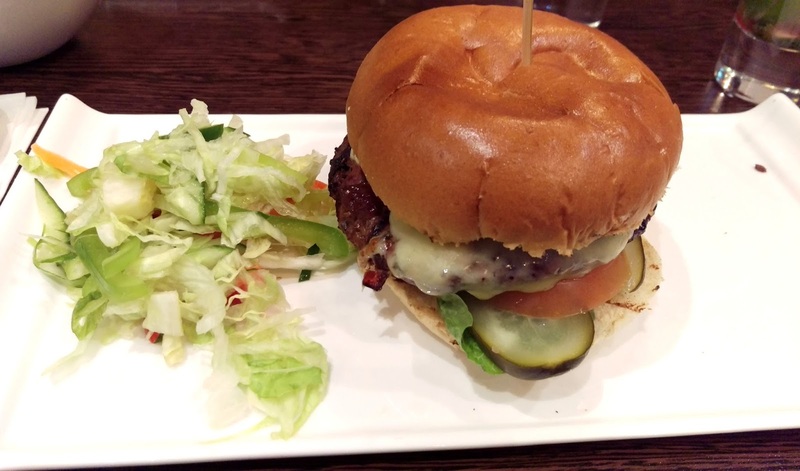 I liked that they used gherkins and extra gave salad on the side but the meat really wasn’t enjoyable. The chips had no hint of chilli or lemon at all which was really disappointing. I can also safely say that this is one of the worst mojitos I’ve tasted in a very long time. All in all, a really disappointing meal which I mostly ate due to how hungry I was. Bojuns Grill is halal (HMC Certified) and I was pleased that the restaurant was clean, however I definitely won’t be visiting again and probably won’t recommend anyone else to either.